A few weeks ago Flickr, the most popular photo-sharing website, started offering prints of Creative Commons-licensed works in their online shop, among other photographs that were uploaded under traditional licensing terms by their authors. In short, authors get no compensation when one of their photographs is printed and sold, but they do get a small attribution notice. It has been pointed out that this is totally allowed by the license terms, and some big names seem totally fine with the idea of getting zero pennies when their work circulates in print, with Flickr keeping any profit for themselves. Some people seemed actually pissed off and saw this as an opportunity to jump off the Flickr wagon (perhaps towards free media sharing services like Mediagoblin, or Wikimedia Commons for truly interesting photographs). Some of us, those who have been involved in the Creative Commons movement for years now, had a sense of unease: after all, the “some rights reserved” were meant to foster creativity, reuse and remixes, not as a revenue stream for Yahoo!, a huge corporation with no known mission of promoting free culture. I’m in the latter group. That’s not much different from a Creative Commons Attribution license, albeit much shorter and EULA-like. In my opinion, until the day we see Flickr selling prints of works that were not uploaded to their service, this is not bad news for creators. Some users feel screwed, but I wouldn’t be outraged, not before seeing how many homes and offices get their walls covered in CC art. The second reason why I’m a bit worried about the reaction to what is happening is that, uhm, anyone could have been doing this for years, taking CC-licensed stuff from Flickr, and arguably at lower prices (17.40 $ for a 8″ x 10″ canvas print?). Again, nobody did, at least not on a large scale. Probably this is because few people feel comfortable commercially appropriating legally available content ‒ those who don’t care do this stuff illegally anyway, Creative Commons or not. In the end, I think we’re looking at a big challenge: can we make the Commons work well for both creators and users, without creators feeling betrayed? 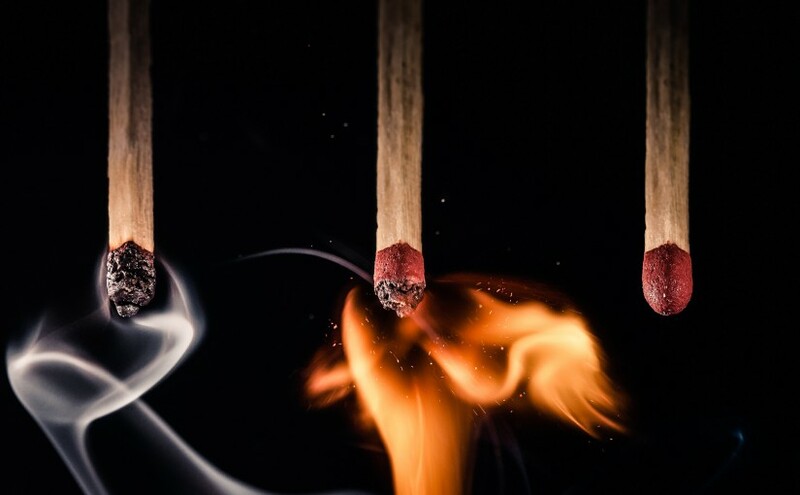 Featured image is Combustion [Explored!] by Emilio Kuffer. 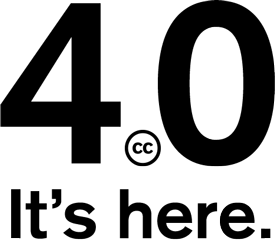 You may have heard already about the new version of the Creative Commons family of licenses, released as 4.0. It contains a lot of improvements and there has been a tremendous effort towards standardisation. There will be translations but the license is the same for everyone and it is international (instead of many licenses for specific countries as with the previous 3.0 version). What changed? Previously obscure areas (such as sui generis database rights) have been cleared and explicitly included in the licensing conditions. This is a major step towards reconciliation between licenses that have been developed specifically to address those sui generis rights (e.g. ODbL, now adopted by OpenStreetMap) and Creative Commons licenses with the corresponding “rights reserved” (e.g. CC-BY-SA matches the ODbL in their share-alike nature). 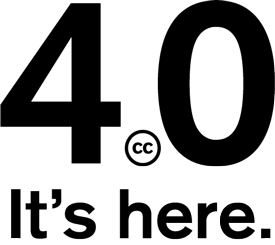 Requirements for attribution have been adapted to the widespread usage of links in place of verbose lists. There are more changes of course, explained in various places on the Creative Commons website and wiki, but I found this page comparing license versions to be the best summary. Perhaps little known is that if you are using Creative Commons Attribution Share-Alike (used by Wikipedia among others) you can immediately upgrade your existing content to the newer version of the license, because the “or any later version” clause (very familiar for adopters of the GNU GPL) is natively part of Creative Commons licenses since version 2.0. I have upgraded the license of this blog and website to the new version and updated the sidebar widget to reflect the new license. As always, don’t try to write your own hand-crafted copyright statement, use the Creative Commons license chooser! Happy sharing.